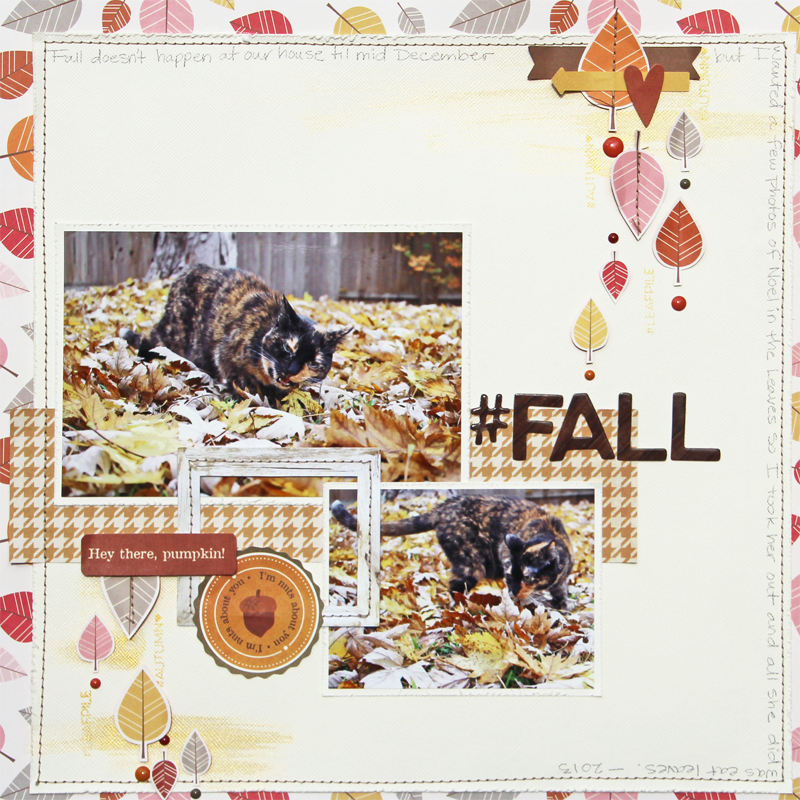 Creatively Savvy: Hashtag Fall - Nov Scraptastic Kit! Can you believe its November?! 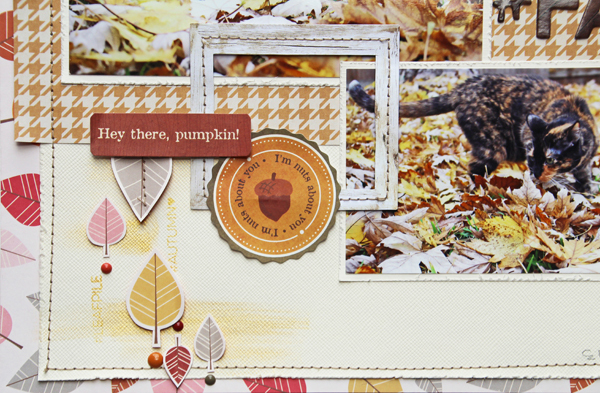 Today I am sharing a layout that I made using the November Scraptastic Club Free Fallin Kit, Add on kit and Stamp set. I have to tell you guys that our leaves don't even fall til December around here, but when they do fall, my back yard looks all golden til the yard guy arrives and I wanted to take photos of my kitty with her fall colors in the leaves. She didn't want to do that, she just wanted to eat the leaves so I snapped a couple of photos and took her back inside. For this page I decided to use a light cardstock background to lighten up my darker photos. 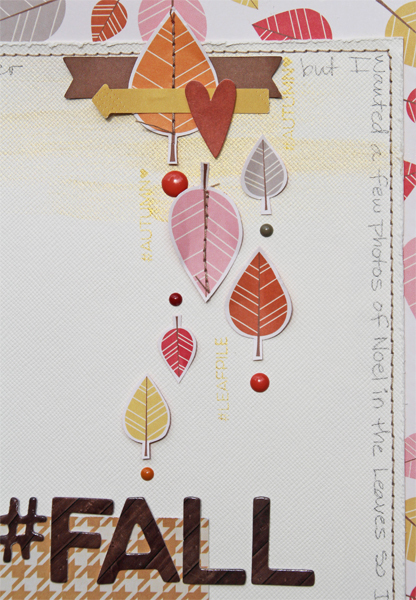 I used the "#LEAFPILE" and "#AUTUMN" stamps with gold ink and then brushed gold paint lightly on the background. The little leaves are cut from this cute October Afternoon patterned paper. Some are stitched, some are just adhered to the page and a couple are mounted with foam tape for dimension. For my journaling I wanted a light grey but my grey marker is too bold so I used pencil. I find that I like the light grey journaling of a pencil alot lately.